I'm thrilled to have my work featured on Daily Grommet today. 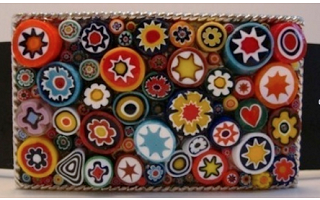 I buy these Millefiori (sometimes spelled Millefiore) beads from a woman who imports them directly from Italy. I create each buckle by hand and always include one signature heart bead. I'd love to read your comments and answer any questions you may have. I'm crazy about this design. It looks so unusual and I love the way you can see the different heights of the beads in the video. Like a mini landscape. How do you adhere the beads? That must be some glue. I agree with Lisa...when they turned the buckle sideways in the video I said 'Wow!' What a conversation piece it must be for those who wear them! Quick clarification on today's Grommet. It does indeed include the belt as well. Just pick your size. The buckles are all the same size, but vary in design. I'm thrilled you are loving the buckles....each one is alway a work of art; a "carpet of color". An industrial strength glue is used...its water proof and non-flammable!! Jules-Thanks for the clarification on the belt sizing. You are right this does include a great black leather belt and as you mention just pick the size. Start your collection of belt buckles today. For the lucky people who got one today make sure you look for Michele's signature on your buckle, a single milifiore heart bead. What a great Valentine Gift! I love this belt and want to purchase it. I am having trouble figuring out your web site and how to buy this item, HELP! I have a tiny 24" waiste...is there any way this will work? @Renee: Unfortunately, the smallest it goes is 30". WANT ONE!! :) will definitely check back after the New Year - question...what are the sizes of the belt? Small = ?? waist size, thanks! 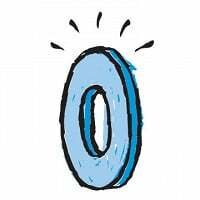 When a simple accessory makes Team Grommet take notice, it tends to wind up on the site. And so it was with the MnM Treasures Jada Belt Buckle. Jen actually bought this for herself before the holidays, and when she wore it around the office everyone admired how the unique, whimsical buckle dressed up jeans and ordinary tops. It’s made of lots of little Millefiori beads (those are the multicolored glass beads that appear to have layers of intricate and colorful patterns tucked inside), and actually reminded Jen of the mesmerizing Millefiori frame she received as a first communion gift years ago. MnM Treasures is actually the work of artist Michele Plazony. A computer programmer-turned-mom-turned-accessory designer, Plazony specializes in these beautiful handcrafted buckles (we call them wearable art). 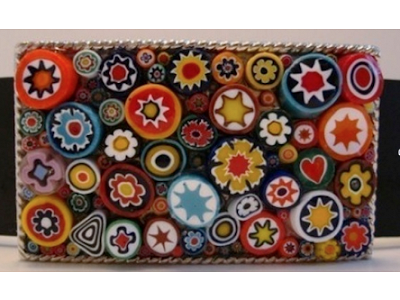 Every buckle will be similar yet one-of-a-kind, and Plazony’s signature is the one Millefiori bead with a heart center that appears in every design. We think you’ll treasure it, too.